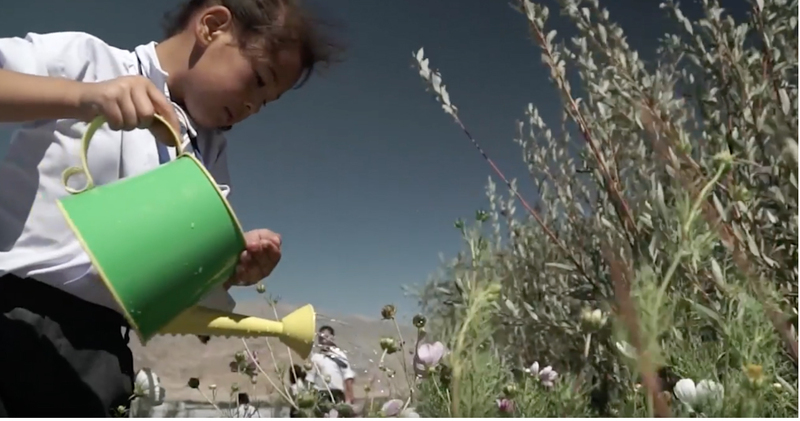 –”With running water at the school, we are staying cleaner. This makes me feel better—inside and out. For World Water Day, our student Stanzin Sherab honors mechanical engineer Sonam Wangchuk as his hero. This Ladakhi invented and built the prototype for the ice stupa which is used in water mitigation by farmers in the Ladakh region. 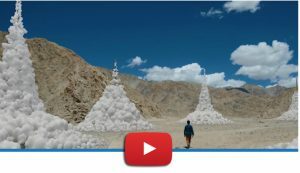 In February of 2014, he created a two-story artificial glacier in the shape of a stupa that could store 150,000 liters of winter stream water. Given that these ice stupas melt before the natural glaciers, farmers can use this water and begin planting earlier. 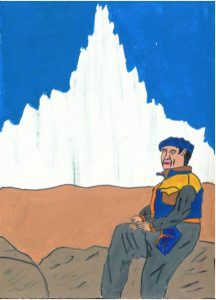 The painting of Sonam Wangchuk and the essay are by Stanzin Sherab, a Siddhartha School alum. 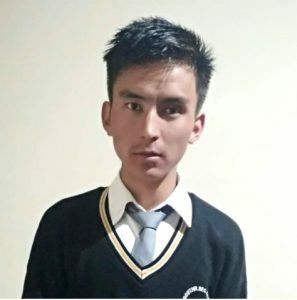 About the Artist: Stanzin Sherab is in 12th grade at the Government Boys Higher Secondary School in Leh. He has chosen a bachelor of arts degree. History, geography, and English are his major subjects. He would like to work for the Education Department after graduating from school. He likes to play football and cricket. If you are interested in supporting the education of children like Sherab, click here. Did you know that Siddhartha School’s campus had no running water for 20 years? For more than 20 years, Siddhartha School operated without running water on campus. Water was shipped in by a special tanker truck and stored in a large holding tank on campus. The supply would scarcely last a week. With the generous help of GO Campaign, as well as numerous private donors, Siddhartha School built the infrastructure for irrigation and access to unlimited drinking water for all staff, teachers, and students. This simple addition shifted the lives of our children, enhancing their health and ability to focus on their studies.